If you are headed to the grocery store or super market you are guaranteed to see a can of pumpkin puree for sale. I always buy a few cans just to have on hand because I love baking and I never know when the feeling to bake will strike. 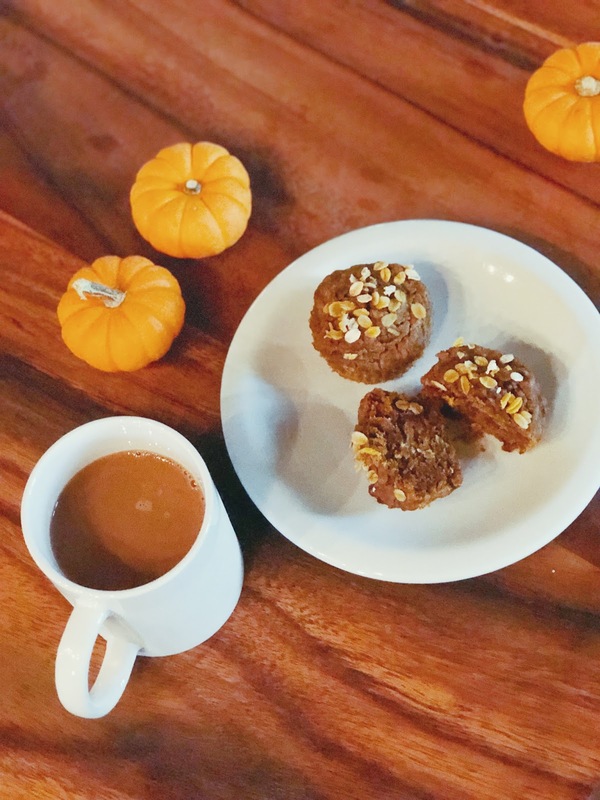 I especially love baking specific recipes for the season, currently it’s pumpkin everything. Pumpkin actually isn’t m favorite flavor but there are some healthy benefits to pumpkin and it’s also an easy substitute for banana. My banana bread and muffins are turning into pumpkin bread and pumpkin muffins. Preheat oven to 325 degrees. Line muffin tin or grease with non-stick cooking spray. In a small bowl mix the baking soda, salt, cinnamon, nutmeg and other spices if you choose. Add to the large bowl and mix well. Add flour and oats to the bowl and mix just until combined. Add chocolate chips or nuts of your choice. Divide the batter evenly between ten muffin cups (I actually got 11 out of my batter). You can fill closer to the top than you normally would with cupcakes becuase these don’t rise as much. Sprinkle the tosp of the miffins with oats. 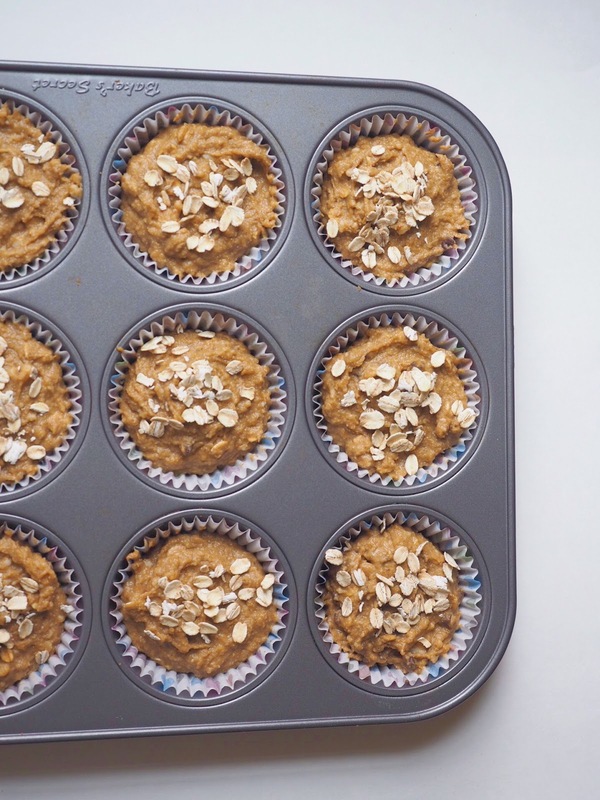 Bake muffins for 25 minutes or until a toothpick inserted into the muffin comes out clean. 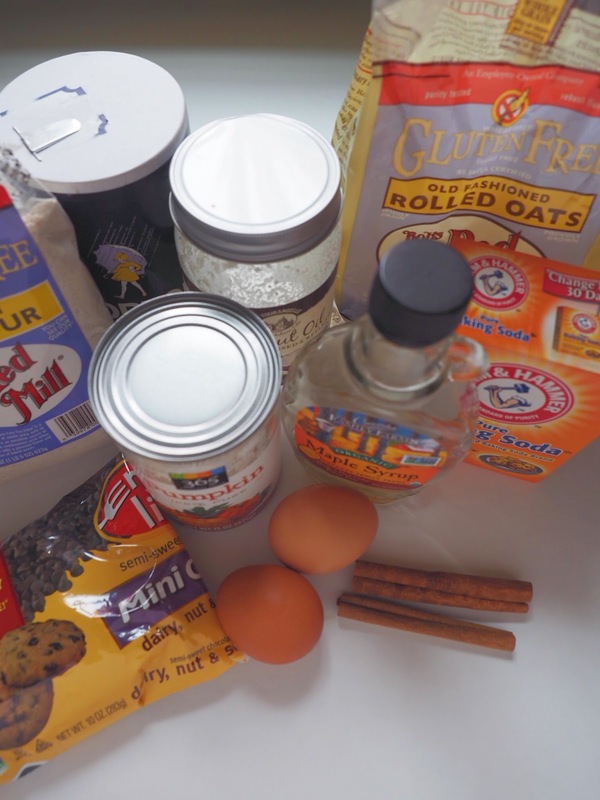 This recipe came from Cookie and Kate. 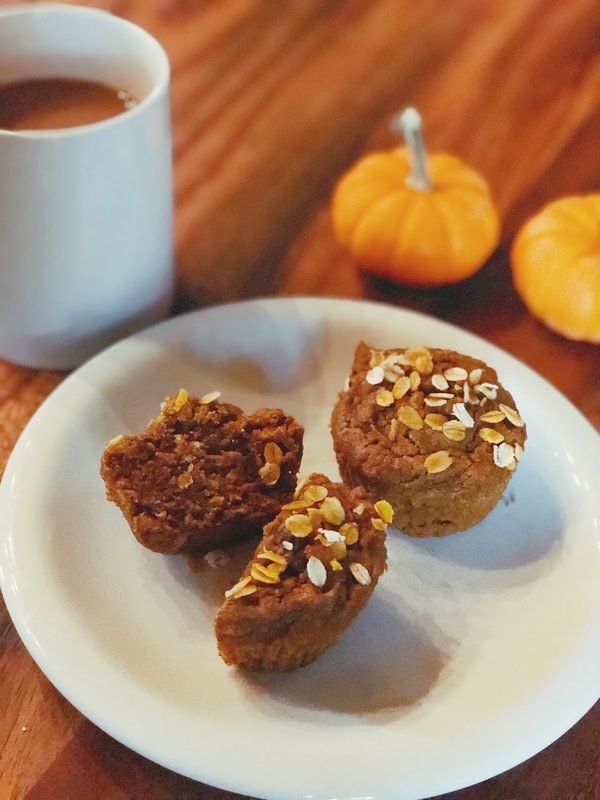 I googled healthy pumpkin muffins and a few recipes popped up. I didn’t want to go to the grocery store so I picked the recipe that had ingredients I already had at the house and the one from Cookie and Kate was the winner. I am so happy it was because these muffins are soooo delicious. I was afraid they were going to be too bland since they are “healthy” and made with whole wheat flower but they are plain ole scrumptious. The original recipes calls for a few other spices but I didn’t have them. You can also use vegetable oil instead of melted coconut oil, any milk of your choice or honey instead of natural maple syrup.